It's been a long, strange year in cloud storage. What was once seen as a storage fad has popped up just about everywhere, and cloud migration strategies are being adopted more than ever. For some organizations, it's no longer a matter of if they're going to implement a cloud storage platform, but when. More recent developments, such as disaster recovery as a service (DRaaS) and cloud storage for the internet of things (IoT), garnered interest in a year full of technological advancements. 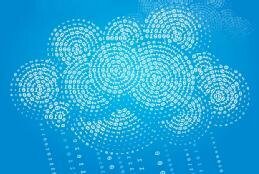 The public vs. private cloud debate raged on, but, once again, the hybrid cloud piqued the most reader curiosity. From choosing a vendor to improving performance, the hybrid cloud remained one of our most popular topics in 2016. Below, we've compiled our top 10 most-viewed cloud storage tips from 2016, in order of popularity. When migrating data to the cloud, it's important to choose a strategy that suits your organization's needs. As you move data to a cloud storage platform, you have to consider factors such as whether you're migrating archival data or production data, which have different downtime requirements. Unless you happen upon the mythical one-size-fits-all cloud product, odds are you will have to base a migration plan on your particular use case. Internet of things files may be small, but the sheer amount of unstructured data they make up can result in seriously slow storage. Block storage and file storage are better suited to structured data, so what other option is there? Thanks to its infinitely scalable structure and durable nature, object storage is well-suited to dealing with the petabytes of unstructured data that can accumulate through IoT files. The predominant choice for the cloud, object storage can be used in private, public and hybrid cloud platforms. By providing extensive metadata on each file, object storage can make sifting through massive amounts of unstructured data less of a pain. When choosing a cloud storage platform, you might be caught between a public or private option. Both have the benefits of cloud storage: They're scalable, flexible and can be low in cost if used correctly. However, they both come along with their set of cons. As a public cloud user you are guaranteed a certain quality of service, but security is taken out of your hands. Managing workloads can be complicated, and the long-term costs can add up. That's not to say that private clouds are a picnic either. Learn more about the benefits and drawbacks of both options. A public or private cloud storage platform may not be what your organization is looking for. Luckily for you, there may be a happy medium. Hybrid cloud options are growing in popularity, which isn't surprising given the concerns that go along with strictly public or private cloud infrastructures. If you're interested in deploying a hybrid cloud, there are a few different routes you can take. Once option is to DIY, which allows you to tailor the environment yourself, but is not for everyone. Not many organizations have the resources or ability to build a hybrid cloud implementation from scratch, so take that into account first. An on-premises cloud gateway might be a better fit because it doesn't require any upfront development and it works for a variety of use cases. When choosing a cloud backup provider, it's important to look at your own requirements first. The cloud backup market has become a crowded one, with vendors offering enterprise-wide options and a variety of services. By drilling into what your priorities are, you can narrow the field and find the best fit for your organization. There are seven key elements to look for in a cloud backup provider. From vendor-specific concerns, such as reputation or service-level agreements, to technical issues including security and compatibility, this tip goes through the chief factors you should consider before making a decision. One of the primary benefits of hybrid cloud is that it brings along with it the best parts of both private and public cloud environments. Hybrid cloud has three tricks ups its sleeves to not only better performance, but to lower costs. By migrating passive data to a lower storage tier, hybrid cloud platforms can clear up much-needed storage space that might otherwise be wasted on rarely accessed data. If the complicated ordeal of moving data onto a public cloud put you off before, there are several vendors who have recently developed products that automate the process. Hybrid cloud is also a favorite with backup as a service vendors to overcome performance issues in the initial backup and larger scale recoveries. Unpredictable spikes in workloads can be taxing on local resources, so you may want to look into avoiding that by using cloud bursting, another hybrid cloud benefit. Were you under the impression that the enterprise file sync-and-share (EFSS) market was on its way out? Some storage pundits seem to think so, and over the past two years, competition in the market has gone down. That doesn't mean it's going away just yet. If you take a closer look at the EFSS market, vendors such as Box and Dropbox have seen steady growth. Security can be a concern, so some EFSS vendors have added access policies to give IT admins control over their data. Application integration gives EFSS another boost: Microsoft applications and Salesforce both feature the technology. As long as there is a need for EFSS, odds of the market going away are slim. A gateway may seem like a way to simplify the transfer of data to object storage, but it may not be the best way to go. While a gateway can reduce storage consumption during a data migration, it does not actually have fewer steps than any other data migration project. Using a standard file or block interface, an object storage gateway still takes 32 to 34 manual steps to migrate files and storage blocks. Along with the labor-intensive process, object storage gateways open you up to the possibility of complicating the data protection process. Because all reads and writes have to go through the gateway first, it can become a storage choke point and cause downtime during which your data is inaccessible. Clearly, the hybrid cloud was a hot topic in 2016, but how do you go about choosing a provider? Along with implementation and performance, one aspect of hybrid cloud many readers were interested in was how to decide on a vendor. Before deciding on a provider, take stock of your organization's needs. If you're looking for an easier data transfer or prioritizing business continuity, your choices may change. Tiering and snapshots are two more capabilities you'll want to take into account, as well as if the service provider works closely with the storage portfolio vendor. If your only qualification for a DRaaS provider is that they do the bare minimum to make your data available in a disaster, you should know that you can do so much better. Use our checklist of must-have features for a DRaaS company. Whether they're using their own cloud or running out of a public cloud service, DRaaS vendors should support every platform your environment uses, and they should recover your data quickly. When evaluating a DRaaS vendor, determine how the data is stored. That can affect downtime and the provider's ability to meet your recovery time and point objectives. Depending on the vendor, they may not support the servers and applications you use, so watch out for that. Protecting and making vital data available following a disaster is no small feat, but using a cloud storage platform gives providers the ability to do even more. What was the best cloud storage tip you read in 2016 and what made it stand out?